Me on the left in July 2009 . Me on the right in Oct 2012 at the NPBB Fitness and Bodybuilding Comp In Cairns. As you can see from the pictures, I wasn’t always into my fitness. Because of a bad lifestyle and bad eating habits, along within addition to stress due to a long term relationship breaking up. It left me feeling out of sorts with myself both in body and mind. I had always tried to workout. My main downfall was due to lack of knowledge with both nutrition and exercise technique. After seeing this photo I decided it was my time for change. I decided to change the life I lived. Adopt a healthier lifestyle and to follow a proper resistance training and cardio schedule. I read alot of books and familiarised myself with various training methods and good nutrition choices. This isn’t an overnight change. It’s taken a few years but through hard work and good choices i’m living proof it can be done. 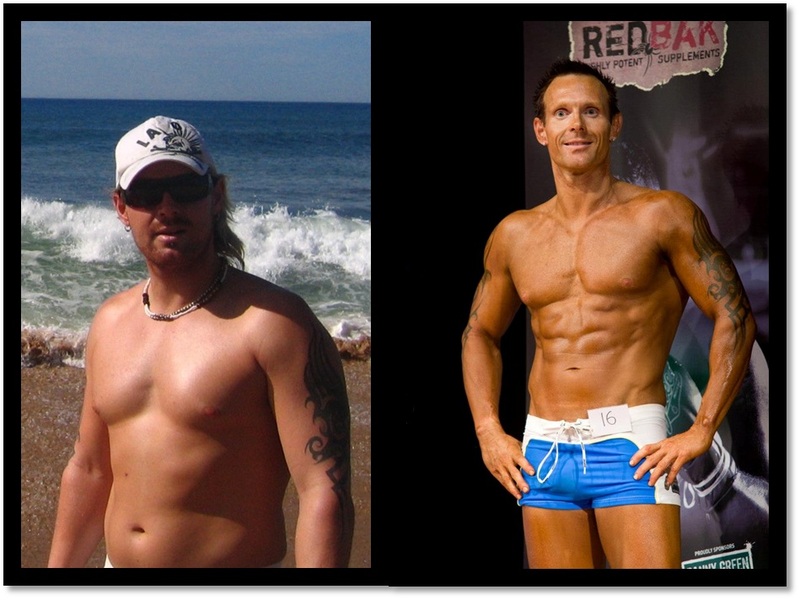 Al has a passion for both fitness and life, making you feel that anything is possible. His support and encouragement is unwavering. My Will power (or lack of it) has always been an issue for me; Al has been a complete rock, picking me up when I’m down and pointing me in the right direction. He is able to see my limitations but also see when these can be pushed. Amazingly it doesn’t matter how exhausted I am, he can still make me smile. He has a gift for personal training, seeing me as an individual not just a client. It would be hard to miss how much Al truly cares.